My favorite kind of bush for our garden is one that is low maintenance, lush and prolific in blooms or foliage and easy to prune. The Limelight Hydrangea is the one plant in our backyard that typifies all of this. It changes too – it has bright green blooms in summer that turn to a dusty rose color in the fall. The amount of flowers that it produces is unbelievable – no matter how or when you prune it – the flowers keep coming. The blooms are beautiful to cut for fresh arrangements or allow to dry for fall decor. 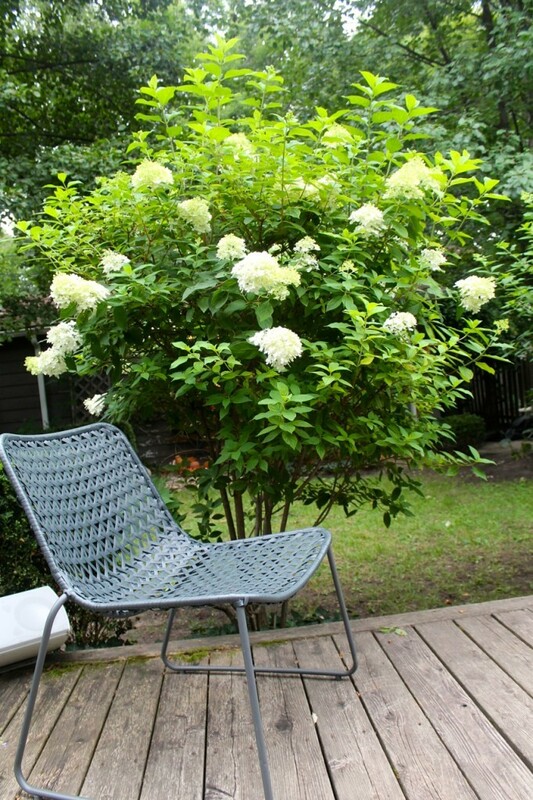 Unlike most hydrangeas – this one thrives in full sun. Works great as a hedgerow or a focal point in your yard. I highly recommend. 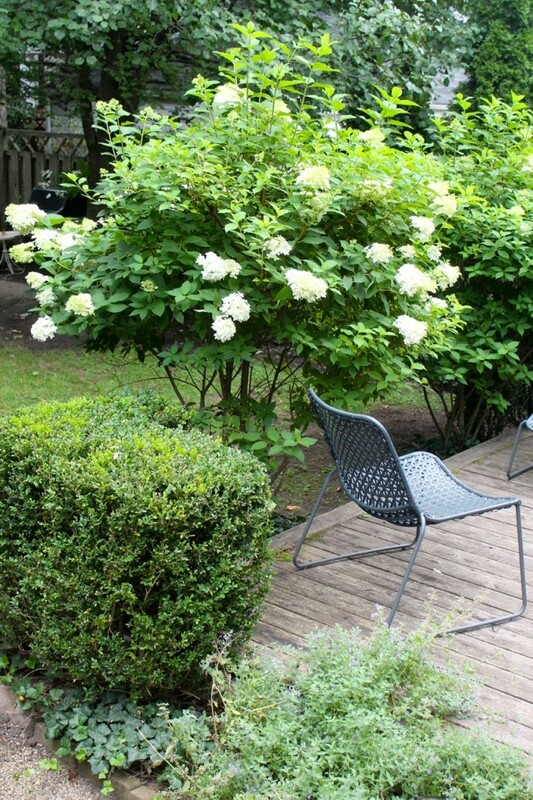 Limelight Hydrangeas – my absolute favorite for any garden. I bought ours about 8 years ago at a local garden shop. It reached full height in 2 years. 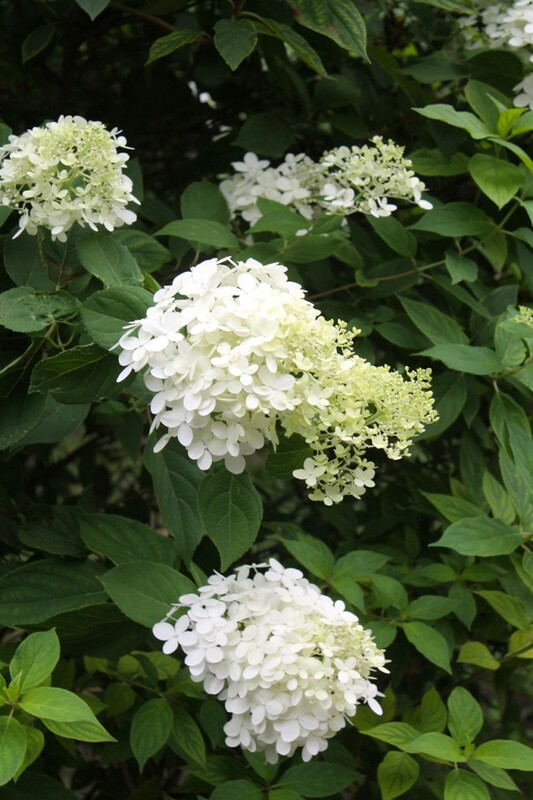 The Limelight Hydrangea – the powerhouse of the garden. Hi Kristen! It should do well – it’s good in zones 3-9. You’re 9, right?